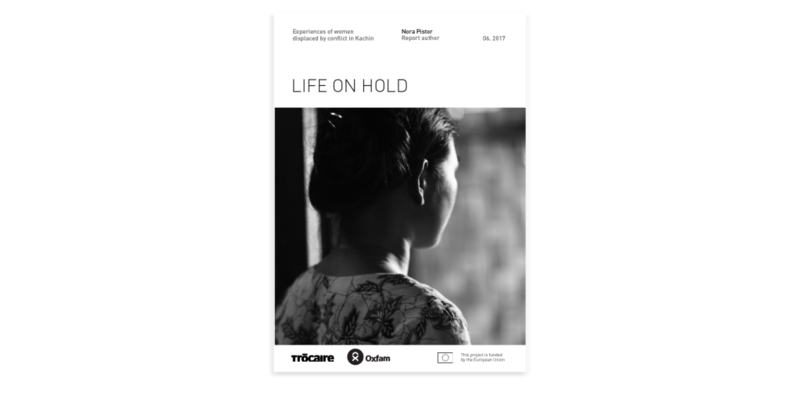 This report documents the situation of women have been forced to flee conflict and persecution in Kachin State, Myanmar. 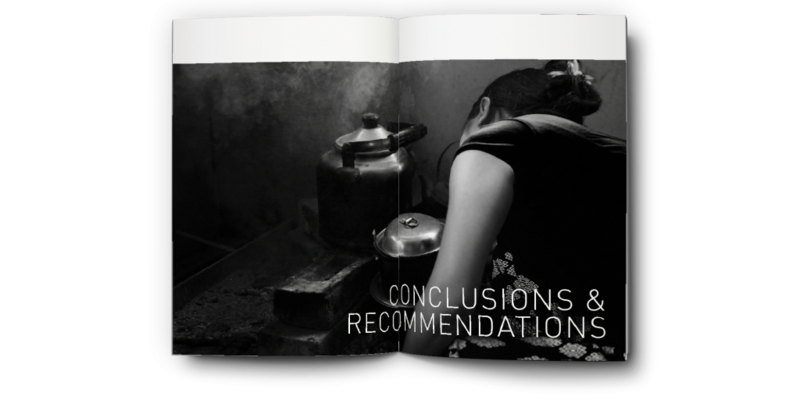 Oxfam & Trócaire wanted to humanise the women who contributed to the report – without compromising their security. 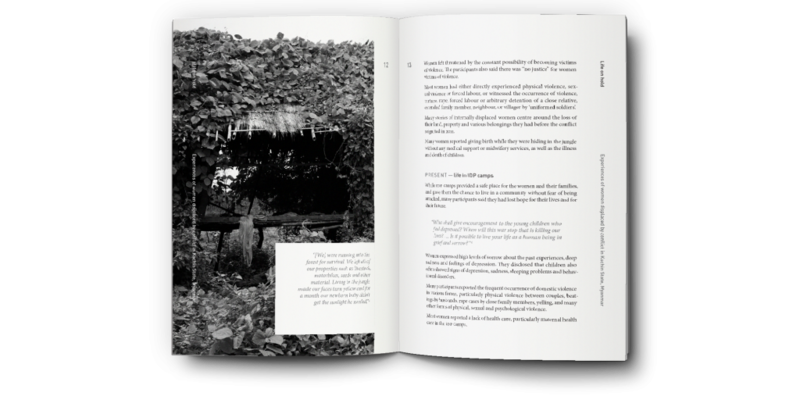 This led to a series of portraits which gave a flavour of the women’s lives, environment and personality, without showing their faces. 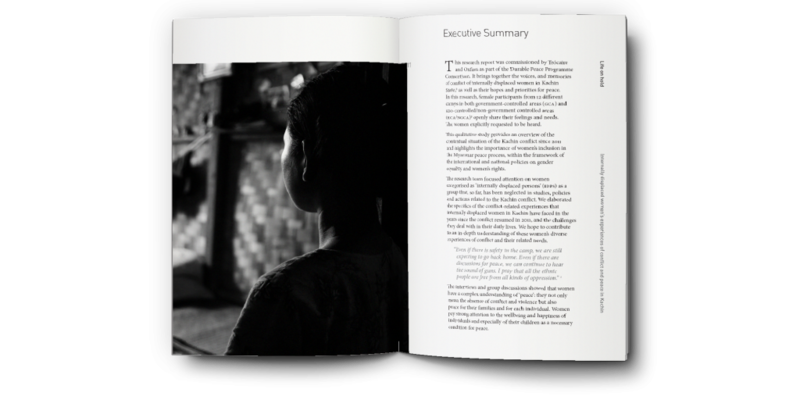 The black and white reportage images, and a simple editorial design, led to an engaging and effective report.